Hair Swirls are so easy to use and so Elegant to wear. Just twist them into your hair and right back out again. 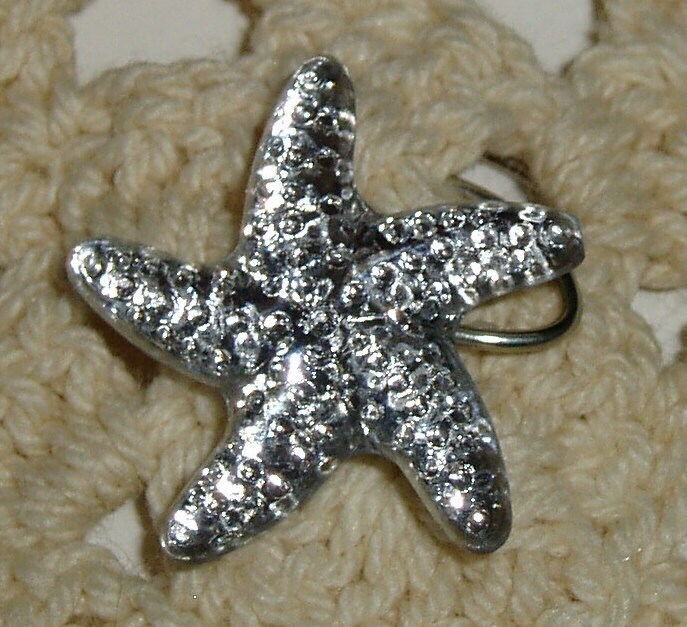 The starfish will look like it is floating in your hair. Hair Spirals are perfect for Prom Updos, Bridal Parties, Dancers, Twirlers, and Skaters! 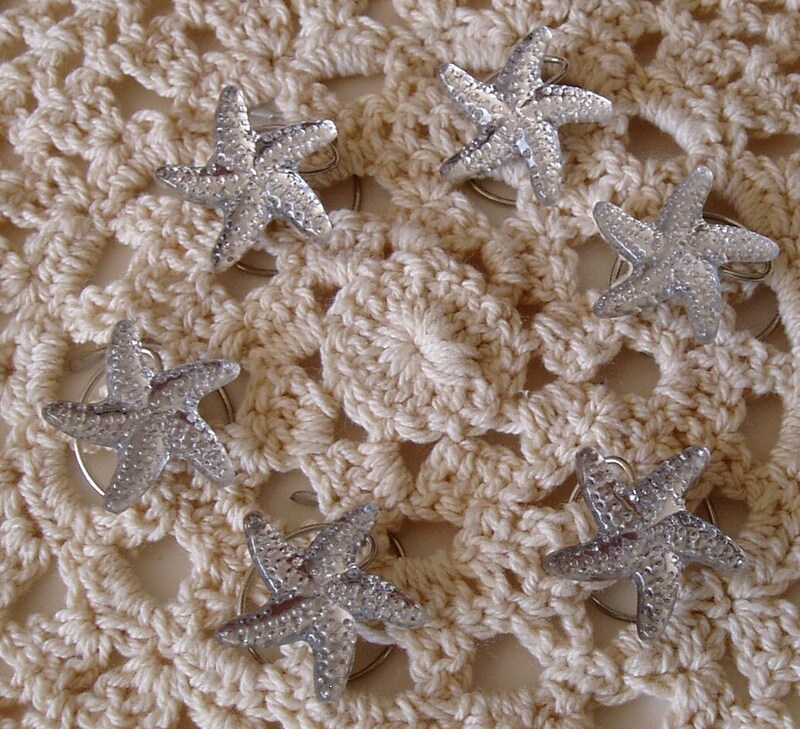 Darling, Sparkling Clear Starfish Hair Swirls for Beach Wedding Party. Set of 6 Hair Swirls that you twist into your hair and right back out again. Hair Swirls are so easy to use and so elegant to wear. Add these to your Mermaid costume hair do. 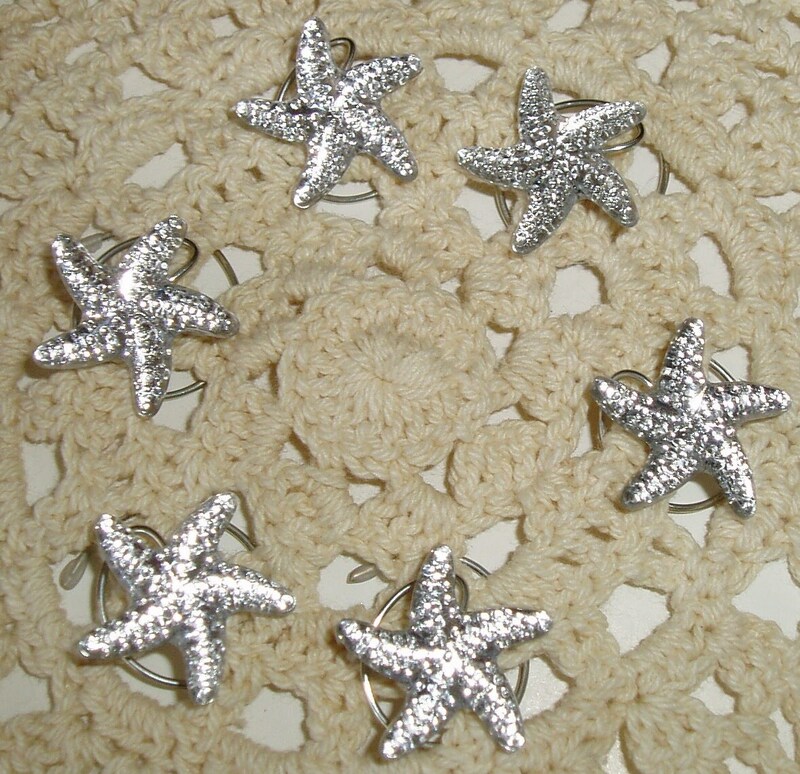 These starfish Hair coils would be perfect for a beach wedding or just for fun to wear at the beach. These are a clear acrylic with a sparkling shine. They also come in topaz, royal blue, red, green black, topaz, and pink. Let me know your favorite color. 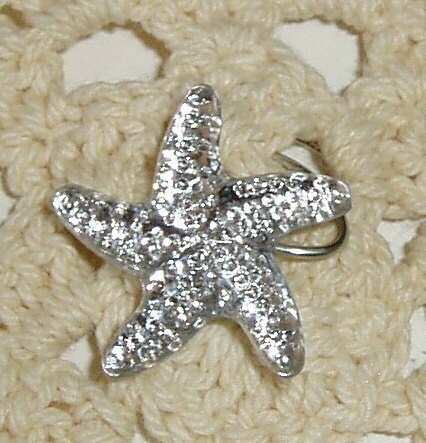 Each starfish is approximately 15mm in size. 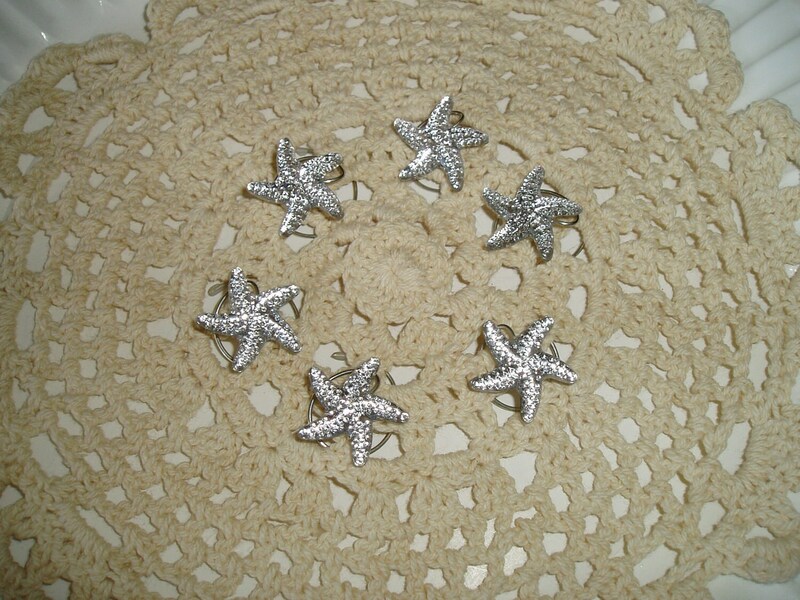 If you need more than one set of 6 starfish hair spins please let me know. They are available. These are going to go very beautiful with the hairstyle I have in mind for my wedding in a couple of months. Thank you so much. I cannot wait to wear them!! !